Once your ads are up and running with Search Realty, you need a way to easily track how they’re performing and where your money is going. 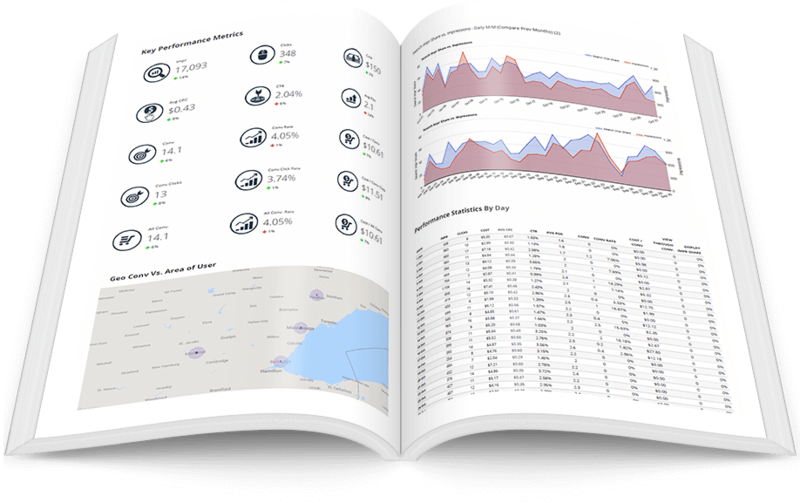 With detailed marketing reports delivered each and every month, you can analyze how your money is being spent while monitoring the performance of your marketing campaigns. Get access to GOOGLE® generated stats to make any necessary tweaks to better align your message with your audience and goals. You’ll be able to track your money and manage your budget while assessing key performance indicators. Our reports will also showcase where most of your traffic is originating from via the Geo Heat Map as well as the click-through rates of your ads to see where you should be focusing your efforts to increase sales.